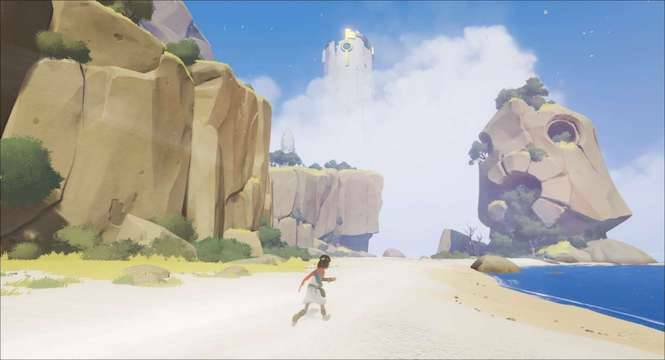 Players took on a challenge issued by Rime developer Tequila Studios to take a whack at cracking the game's digital rights management protection, a challenge that was quickly accomplished and actually improved the in-game performance. The challenge was issued by a team member from Tequila Studios on the Steam forums on May 26 where the poster identified some of the concerns the team had with imposing the Denuvo tech on the game as well as explaining their decision behind including one. "I have seen some conversations about our use of Denuvo anti-tamper, and I wanted to take a moment to address it," a post from user Dariuas read on the forums. "We have had discussions about Denuvo internally, and one of the key points of all of those discussions have simply been, we want to ensure the best gaming experience for RiME players. RiME is a very personal experience told through both sight and sound. When a game is cracked, it runs the risk of creating issues with both of those items, and we want to do everything we can to preserve this quality in RiME." Just under that explanation, Dariuas went on to say that "nothing was infallible," and should someone be able to crack the DRM, they would release a Denuvo-free version of the game and update the existing platforms. That didn't take long for players to accomplish. The game was proclaimed cracked by user Baldman and was announced via the game-cracking community Skidrow Games Reloaded. The user attested to the quality of the game and said that buyers should support the developers when they could by buying the game, but he also had a strongly-worded message directed at the DRM and how much it impacted the game's performance. As he described the results of cracking the game, he noted that the DRM was issuing "triggers," or pings, much more often than other games. He mentioned that other titles such as Prey issued these pings once or twice every several minutes while Rime pinged 10-30 times every second. That's a considerable difference, and it was slowing down the game quite a bit, according to Baldman. With the challenge beaten, it now falls on the developers to follow through with their promise and release a DRM-free title. The initial posting of the challenge on Steam was met with a bit of opposition from commentors who didn't agree with the poster's views on the DRM, so that feedback, combined with the now cracked version, may be enough to prompt them to fulfill their end of the deal.